"For several months, France has been the subject of repeated accusations, unfounded attacks and outrageous declarations", Ms von der Muhll said. The latest dive in diplomacy came after Luigi Di Maio, Italy's deputy prime minister and Five Star chief, said he had met with "yellow vest" anti-government protesters outside Paris. "The campaign for the European elections can not justify (such) lack of respect.All these acts create a serious situation, which put into question the intentions of the Italian government with respect to its relationship with France". Di Maio took the opportunity to thumb his nose at the government in Paris while trumpeting support for the grassroots protests against President Emmanuel Macron. Referring to Italy's populist leaders, he criticized a "nationalist leprosy" eating away at Europe's unity and said European Union members should "behave better toward partners". And then, last month, with Macron still reeling from the nationwide protests that consequently paralyzed all of France, Salvini took the opportunity to say how hopeful he was that the people of France would be able to soon "liberate themselves from this awful president". Di Maio met Christophe Chalençon and Ingrid Levavasseur, who is heading a Gilets Jaunes list for elections to the European Parliament in May. The surprise trip drew a sharp rebuke from Paris, which on Thursday recalled its ambassador to Rome - a move not seen between the two neighbours since the war, when Italy invaded. "These interferences are violating the respect between the democratically elected governments", she said. Having embarked on a campaign to unite populist forces in Europe, Bannon has been attempting to bring together various anti-European or far-right political groupings for many months. 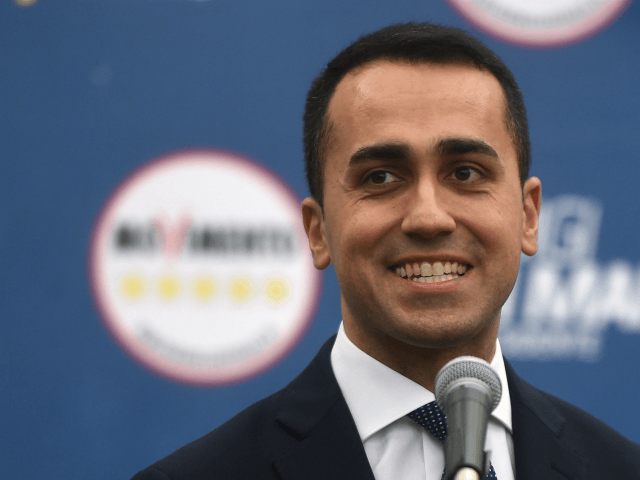 "We are in power and those who taunted us have disappeared today from the political scene", Di Maio wrote in a letter to the yellow vests in early January. France's European affairs minister, Nathalie Loiseau, later tried to dial down tensions. A second Italian deputy prime minister, Matteo Salvini, has also attacked Mr Macron. Salvini poured fuel on the fire last month as well, saying in a Facebook video that "I hope the French will be able to free themselves of a bad president".